Crab Orchard & Egyptian Railway, 2-8-0 #17 was the last standard gauge operating steam engine for a common carrier freight railroad in the United States. 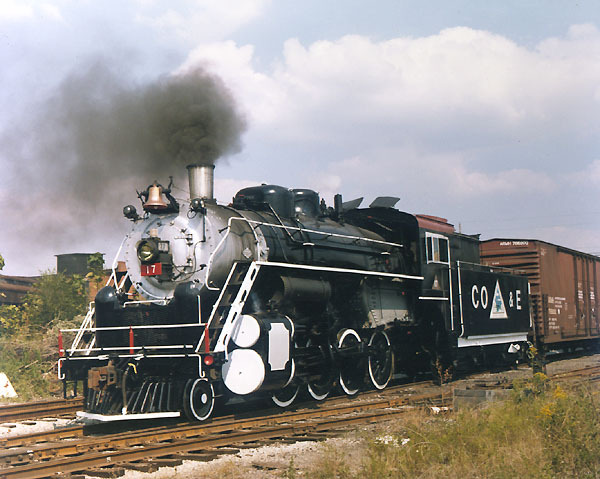 This photo taken in Marion, Illinois in September 1985 shows #17 in steam, as it goes about switching. Soon after this photo the railroad stopped using steam, and on February 9, 1987 the #17 was sold to the Boone & Scenic Valley Railroad in Boone, Iowa, where it remains today.